Influencer marketing for a digital political campaign is similar to employing celebrity influencers to reach the target audiences. Reaching the few targeted ones is more effective than reaching the mass. It is the new digital marketing strategy of the political campaigns. They are trying to reach and influence the important leaders that have the capability of transforming themselves as brand advocates and take the message to larger audiences. How can the online digital political campaign be succeeded through Influencer Marketing? In 2012 the Political digital ad spending reached to $159.21 especially in the US. Influencer marketing for political campaigns focuses on the ability of the influencer to break make or change the trends. The influencer must also have credibility with the audience. The influencer can be a person, page, brand or anything that has the vast reach and can influence mass audiences. How influencer marketing for political campaigns work? The political parties marketing team looks out for credible influencers that have a strong online social media presence and ability to influence the target audience. After this, the content marketing strategy is developed. It can be shared with the influencer to spread it o the personal social media channels of the influencers. Sometimes the influencers also are asked to develop content. They are made to understand the message that the political campaign ants to convey to the audiences. The influencers are usually inspired, hired or aid to promote the content of the political party. The digital political advertising became 7x higher in 2016 than compared to the previous elections. The success of online digital political campaigning using the influencer marketing depends on the impact the influencer can make on the audiences and how well he can spread the marketing message. Internet viewers can choose to block advertisements. They can also ignore the ads. But a trusted influencer followed by some people can make them engage and listen to what they are saying. Prospects are usually interested in a brand that is promoted by their favorite celebrity or an artist. Though the purchase is not immediately made, it is surely going to build brand recognition which is a critical factor. For anyone to survive on digital media, they need to be talked about by powerful influencers. How influencer marketing helps political campaigns? Influencer marketing strategy helps to get recognition, spread the message at every level of the political campaigning. Influencer marketing is the best thing for political campaigning as this helps boost the creditability of the candidate and expands the name recognition. In June 2016, 43% of the millennials research politics by using the smartphone. Digital advertising for political campaigning is significant for many reasons. It is one of the established methods to reach targeted groups. Turning to digital media became a launch pad for many new and established politicians to reach millennial voters. Digital advertising is plying more and more important role for political campaigning. After the success of targeted digital marketing for political campaigning, the next step was to help the local candidates who cannot spend million dollars to make maximum impact on their marketing. The option was influencer marketing. Influencer marketing is endorsement though micro influencers, bloggers or celebrities who create genuine messages from their accounts to influence the follower base. Politicians should consider capitalising on the network the influencer, and micro influencer has. The influencer selection must be based on the relevancy to their voters. For more localised experience, choose micro influencers who have high engagement from followership. 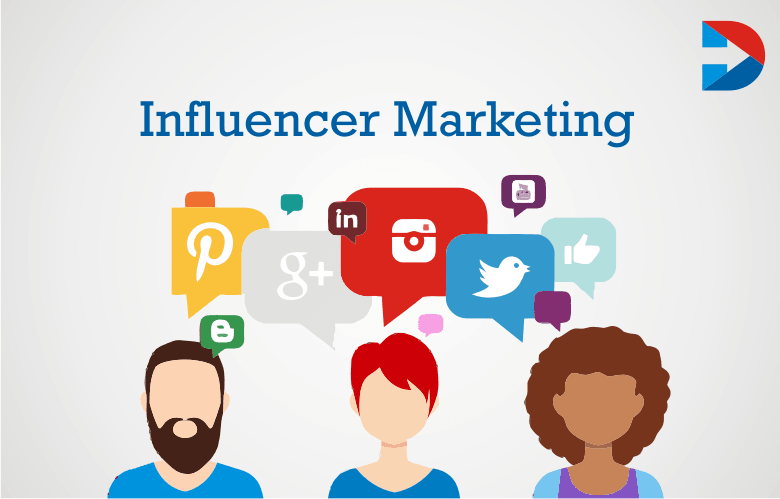 Influencers are used to spread the content, build awareness and increase engagement. Not all the politicians and political parties are same. But the purpose of influencer marketing for them is to grab attention and boost engagement and finally win the battle. Here are some examples of successful influencer marketing for political campaigning. Though Facebook ‘I Voted’ button midterm election obtained additional votes of 340,000. Millennials are important for politics. Most of these young people trust social media influencers. Political parties must have to employ content creators and celebrities and many others to spread the word about their campaign. The social media accounts can be used to gather questions from the audience. It helps to get feedback from various issues and to engage with the audiences. Celebrities who can impact their followers and fans can be asked to make videos endorsing the politician and the party. The celebrities can tell their audience why they are supporting the particular candidate. The celebrities can talk about the issues and tell how the candidate’s win in an election can help to solve the issues. Influencers need not be big shot celebrities but also influencers who have a lot of following.Take the help of YouTube influencers to talk about the political party or the candidate so that the reach is expanded. Another method of successful influencer marketing is to craft emails from celebrities and send it to followers and fans. Those who received the emails will feel thrilled as the mail is a celebrity. Out of curiosity, they will open and engage with the content of the email. 50% of ads are displayed in the format of desktop video during presidential elections. Remember to take the consent of famous people before using their names in the emails. Have an influencer by the side when attending a conference or an event. Have the influencer talk about the political campaigns at the events of their own. Influencer marketing is the future of online business and best for political campaigns. Here we have compelled how the influencer marketing useful for Online political campaigns, How to implement the campaigns and some strategies to online political Influencer marketing.